For rent ads in Brisbane. Thank you for visiting our free advertising website For rent, Brisbane section. We provide high response free classifieds and free advertisement. Use our online free For rent classifieds placement system to find, list, offer For rent online! Hive Student Accommodation is a specialist Accommodation Manager based in Kelvin Grove, Brisbane. As a property manager, we are working in association with property owners, investors, local universities and health care providers such as RBWH. Our student rooms offer students everything they need for a stable study environment, allowing them to focus on their studies. When it comes to applying some trendy architectural plan in building the structure, you need to consult the experts who have their experience in contemporary building architecture. Eiffe builders have the certified professionals in the team who represent an efficient group of contemporary builders in Minnippi Park as well as in other Australian suburbs. Anyone struggling to find out the best rental properties in Coomera can end the process upon reaching Merlot Residential. The company through its huge experience can always provide the best solutions. Visit here : http://www.merlotresidential. Hello everyone, Are you looking for the best forklift for sale Brisbane has to offer? Forkquip has the best solutions for you. 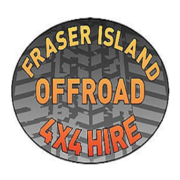 You can come to us with all your forklift needs and we will take care of the rest. We offer the following: > Gas forklifts for rent / sale > Electric forkifts for rent / sale > Diesel forkifts for rent / sale ***Attractive finance options also available for buying and selling forklifts as well as mortgaging and leasing your forklift. PremierLimousines is Brisbanes Premier Limousine and corporate car hire service.Whether it is a single person airport transfer or a large conference group, weare committed to providing you, our clients, with the best service for all yourtransport requirements.Premier Limousines has been operating in SE QLD for 12 years and with our teamof experienced Chauffeurs, we are dedicated to improving our level ofperfection to ensure we meet all our clients expectations. Available for sub lease secured Warehouse/storage with great arterial access to the M1 heading north and south, Logan motorway and Gateway motorway. Complete with palette racking, roller door access, onsite parking available. Take advantage of our current exposure to various industries to promote and sale your own products Warehouse access 5 days a week during business hours. 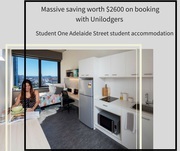 If you are going to study in Brisbane Australia then book a student studio flat at Student One Adelaide Street for 52 weeks and get upto $2600 discount on annual rent also avail Free Last four weeks stay worth $1516 Free Airport pick up worth $80 Free Kitchen Pack worth $150 Free Bathroom and Bedding pack worth $120 Free Student One Promo pack Free Student One EETPOS gift card Studio Flat Facility Includes Comfortable sized bed having full set of bed linen and towels study desk chair wardrobe fully equipped kitchen Microwave Fridge Private bathroom Property Level Facilities Wifi Water Bill Gym Electricity Bill Do not lose this chance to save a huge amount. 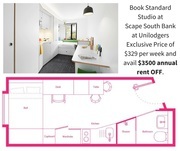 Enjoy Unilodgers exclusive price $329 per week for booking the standard studio at Scape South Bank student accommodation. Save $3500 on an annual rent. Get $100 cash card along. Get a studio booked at this unbeatable price. Standard Studio facility includes: Double Bed Wardrobe Study Desk Chair Private Bathroom Fully Equipped Private Kitchen Dining Area Electricity Bill Wifi Water Bill Heating Bill Gas Bill Property Includes: Gym Cinema Room CCTV Wifi On-site laundry facilities Furnished Available 24-hour security Onsite security Onsite maintenance CCTV Don't miss the chance to save a huge amount. Office Space with Car Parking! Office space for rent in Darra Brisbane , Upstairs mezzanine area of around 50 m2, Comfortable for at leat 4-5 work stations. Two secured undercover car parks with many more available in complex. This office is brought to you by Rubberdesk.com - the Airbnb of office space, where businesses with offices can rent them out by the month. 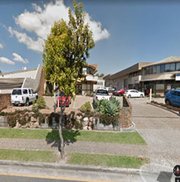 Affordable office space in Springwood at ground level with signage opportunity. Shared facilities included , wifi, photocopier printing scanning , shared separate meeting room, reception facilities. Ample off street parking. Space is divided into two sizeable offices and comes Furnished. Would suite consultancy business, accountant, finance, insurance etc. 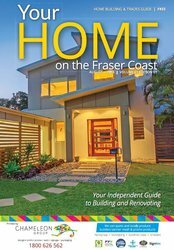 Redesign and renovate your home with Your Home Fraser Coast. We have team of experts and talented to guide you about the ways to rebuild, furnish, and renovate your home at affordable price by saving your money and time. For more info. call us at 1800 626 562.. Looking for medical alarm services in Logan Central? A medical alarm can provide peace of mind in case of emergency. Ask about complimentary medical alarms and a free in-home consultation from Logan RSl. Contact us today for medical alarm services. http://loganrsl.com.au/medical-alarm-rental/. Location: 42/59 Lichfield place, Parkinson QLD Rental Fee $360 per week - 3 Bedroom 3 Bathroom Call 0433 366 693 for more information and to make an enquiry..
Near new town house with 4 bedrooms, 1 toilet downstairs and 1 shower with toilet upstairs, 2 car park, 2 storey for rent. Rental Fee: $460 per week Address: Lakewood Residences Unit 62 7 Norfolk Street Parkinson QLD 4115 Contact person: Raymond 0414673818 | Call for more information..
Share your office space by listing it! Do you have underutilised space in your office? Share this space to earn from it. Smarter Spaces will help you find seekers for your space. Smarter Spaces is a portal that connects space seekers with space providers. So, sign up with us and rent out your space. For more information visit our website – https://www. Gold coast is a beautiful place located in the south of Brisbane; We deliver personable & prompt strata Management services in gold coast to our clients, Our Gold strata managers are very well trained and qualified in this field, you can trust and believe that you will be getting the top level services from our team, Call us today to make your development a great success, your queries and doubts will be responded within 24 hours. 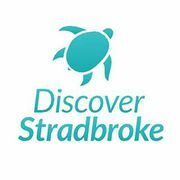 This motel accommodation in Beenleigh is a small family owned and operated business. It is a traditional style and the only motel situated in Beenleigh town. Midway between Brisbane and the Gold Coast. Handy to the industrial hub of Yatala. With their relaxing and very affordable room rates you will find no more than thier delightful services. My Private Transfers is a leading airport Transfers service and private transfer service in Brisbane. we provide a safe and affordable premium private transfers including airport transfers, cruise transfers, theme park transfers, event transfers and tour transfers in Brisbane, Gold Coast and Sunshine Coast region. Aabon Apartments & motel offers Macquarie Apartments with full facility in your budget. It offers motel facility & services like BBQ area, on-site car parking, swimming pool, guest laundry, taxi booking services, free internet services and more facility. Aabon Apartments & motel Macquarie Apartments: - Self-contained 2 bedroom Apartments - Air-conditioned - Queen bed in main bedroom - 2 single beds in 2nd bedroom - Lounge with double sofa bed - Digital TV - Full kitchen with fridge freezer - Iron and ironing board - Radio alarm clock - One 3 bedroom Apartment available Aabon Apartments & motel is situated 10 minutes’ drive to both the CBD & Brisbane Airport and just 3 min walking from the Brisbane train station. Aabon Apartments & Motel is the best motel in Brisbane area. It offers best motel hot deals & packages in Brisbane that are marked with stylishness as well as continuous excitement. Aabon Apartments & Motel offers studio apartments just only in $114, 1 bedroom unit only in 150, 2 Bedroom Unit just only in $240, Macquarie Apartments just only in $215 and Budget 2 bedroom Apartments just only in $150. Brisbane is the capital city of Queensland. It is the strange travel destination in its own right with some beautiful and fun sights and tourist activities on offer. Aabon Apartments & Motel Room Types: • Studio Apartments • 1 Bedroom Units • 2 Bedroom Units • Macquarie Apartments • Budget 2 bedroom Apartments Aabon Apartments & Motel is the best motel in Brisbane & CBD area. Every year thousands of peoples go to Australia for holiday trips. Australia is one of the popular country worth visiting to make you fall in love. Aabon Apartments & Motel in Australia is the best for family vacation, honeymooners, individual travelers, group travel or a simple business deal. Aabon Apartments & Motel offers apartment accommodation like studio apartments, 1 bedroom unite, 2 bedroom units, Macquarie Apartments and more. Aabon Apartments & Motel is just 3 min walking from the Brisbane train station and 10 minute drive to both the CBD & Brisbane Airport. We offers modern apartments with motel facility like balcony or terrace, modern air-conditioned rooms, a flat-screen TV with cable channels and a private bathroom with a hairdryer. Are you planning for a vacation in Brisbane? Aabon Apartments & Motel is the top motel in the Wooloowin, Brisbane area. Aabon Apartments & Motel offers family friendly motel accommodation like studio apartments, 1 bedroom unit, 2 bedroom unit, Macquarie apartments and 2 bedroom apartments in your budget. Australia free ads for For rent, Brisbane, For rent free ads Brisbane, For rent for sale Brisbane, For rent to buy in Brisbane. Find on this page free classifieds for For rent in Brisbane. This listing includes classifieds for sale and to buy in Brisbane. FREEADSAustralia Brisbane offers you a platform to post free advertisements or classifieds for For rent in Brisbane. FREEADSAustralia helps you search, find buy, sell, rent or hire in various categories like apartments, goods for sale, local services, cars , jobs and many more in Brisbane. If you posted an advertisement in category For rent of FREEADSAustralia Brisbane before please use Edit my ads button to change or cancel your ad. For rent Brisbane ads Brisbane, For rent classifieds Brisbane, For rent free ads Brisbane, ads for sale Brisbane, ads to buy Brisbane, FREEADSAustralia. Find here ads for sale, to buy and rent in Brisbane. Goods for sale in Brisbane, vehicles for sale in Brisbane, Brisbane real estate for sale, Brisbane property for sale, property for rent in Brisbane, business ads in Brisbane, Brisbane business classifieds, services in Brisbane, Brisbane services ads, jobs in Brisbane, pets for sale in Brisbane, Brisbane dating, Brisbane cars for sale.